The former home of Weston Bakery at the corner of Elgin Avenue and Sherbrook Street is making way for the new Women’s Hospital at the Health Sciences Centre. The deconstruction of the building began Wednesday morning, and is now being prepared for construction. 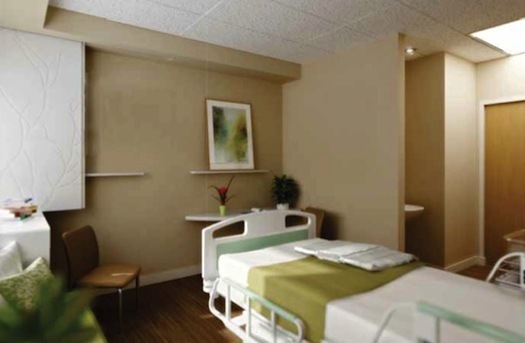 You may recall back in January, the Winnipeg Regional Health Authority asked the public for input on the interior design of the new hospital. Those opinions ultimately chose the design concept, with more than 900 people taking part in the online survey. “Overwhelmingly, they preferred the wildflowers theme,” said Arlene Wilgosh, President and CEO of the WRHA. While the Weston Bakery is deconstructed, part of the building’s materials will be used in constructing the new Women’s Hospital. Construction is expected to begin in mid-2011.